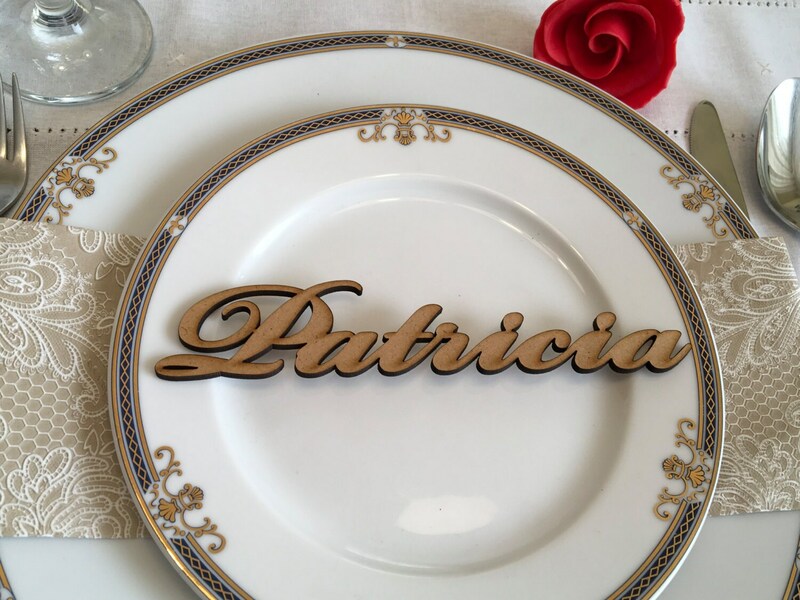 Wedding place card names custom cut in wood. The price is per ONE NAME! 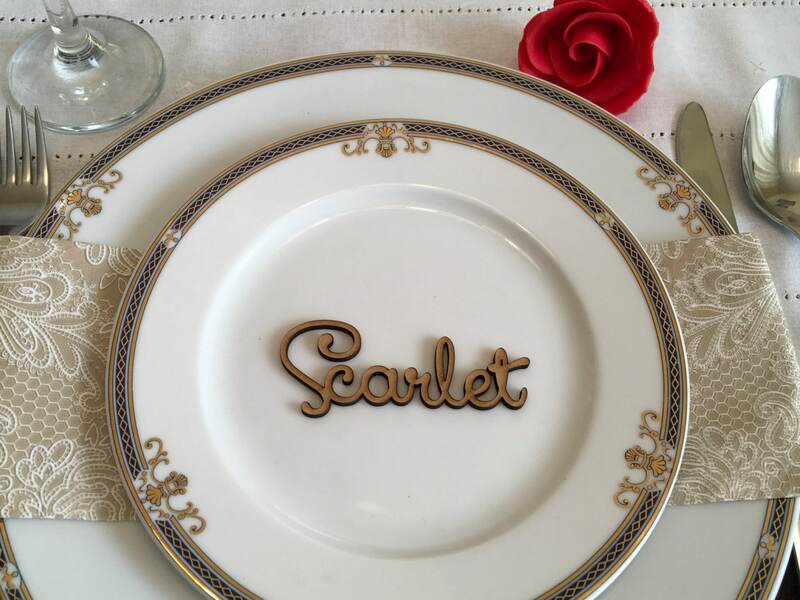 These wooden wedding place card ideas are the perfect finishing touch to your table. Also I need you to send me the list with the names and what font you have chosen. Choose the quantity and font, than click the green "add to cart " button. 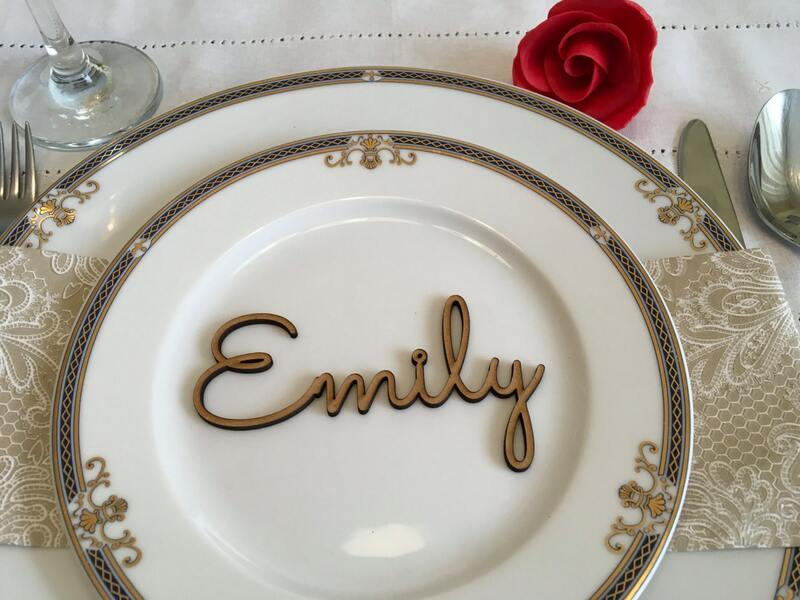 Very fast transaction and beautiful place cards as described! Excellent communication! Such a lovely surprise for our weddng guests. Awesomely crafted, quick shipment. Thank you very much! Arrived right on time, and were exactly as pictured. We ordered some samples to make sure we liked them. 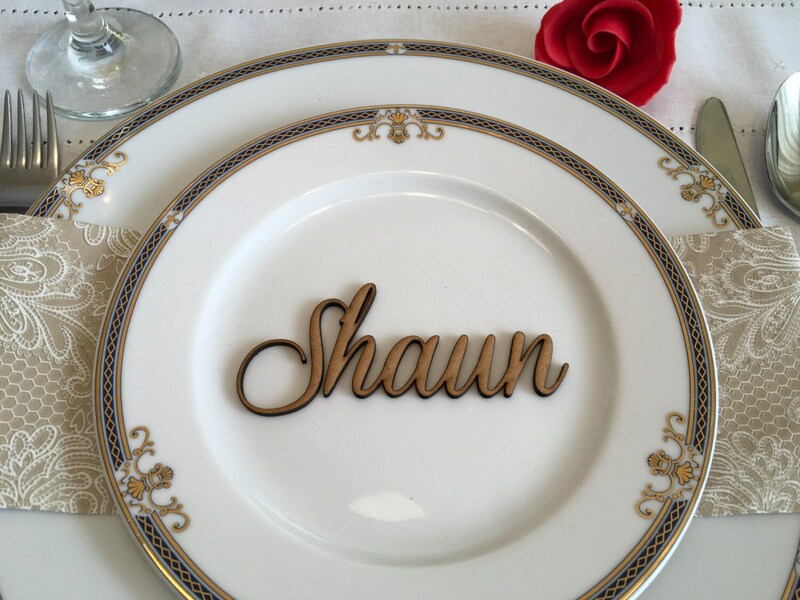 The names are the cutest little addition to our wedding. Came in exactly 12 days. 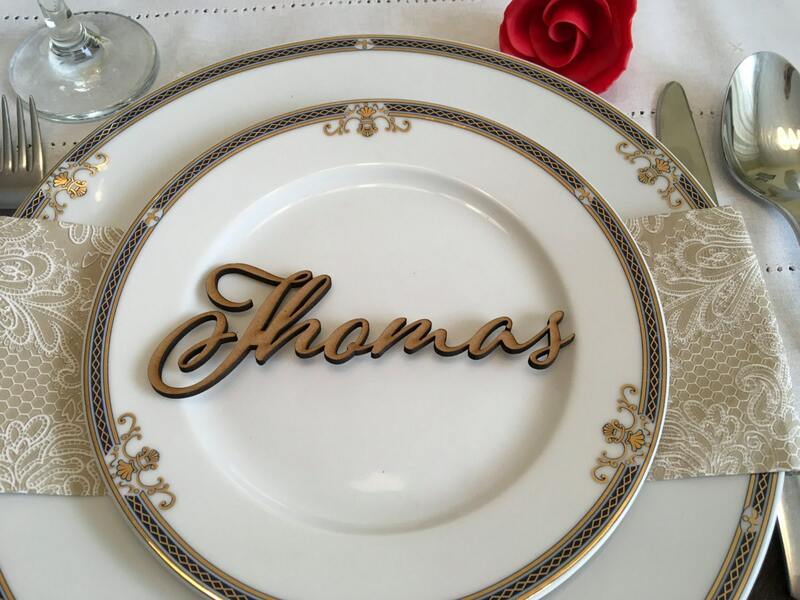 Will order the rest once our list is finalized!